Discussion in 'Lighting' started by BlackRig, Oct 5, 2010. There are 2 great things about this switch. First, it only illuminates when your switch is "ON". Second, it sits snug into the pre-existing slot. I just popped out the blank and trimmed it so the face would sit flush and drilled the hole for the switch. Not a bad deal for <$5. CBI Sliders,PIAA Lights, 5100's, 4 leaf pack. So has anyone put this switch HL96517 in above the center console like the above red one? I have only one blank slot and want to install it next to my A-TRAC switch. Oh well just ordered two of the HL96517 switches. 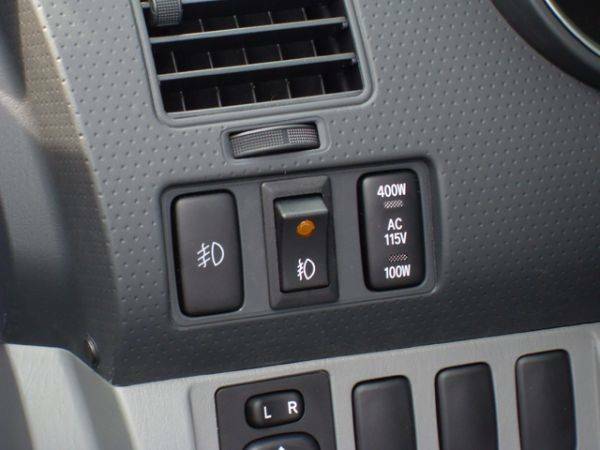 Do you put this switch into the blanks under the A/C panel? ?